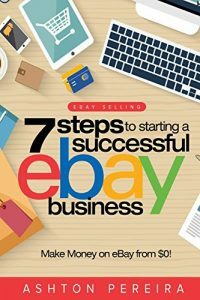 Do you think using Twibler to post your eBay items here helps your conversion rate? Have you asked any buyers? I am just interested to see if anyone has ever made a sale because of Twibler. Thanks 4 input! First lets discuss what Twitter is for those who have not yet been initiated. Twitter asks "What are you doing?" and provides users with a 142 character chance to inform the world about what it is they are up to? Think of an early 1990's AOL chat room with dozens of updates per minute available to everyone in the world. Only, as a user of Twitter, one may pick and choose who's "updates" they want to follow. Conversely other users may choose to follow you, even if they do not know you. These features make Twitter unique, simply due the fact that users can craft the experience by selecting whom they follow. Interested in Internet marketing and the Tech world? Simply follow icons in these industries and fellow Twitter users who also follow the thought leaders. The same goes for almost any interest or industry you can think of. Transparency is all part of Twitter, not only can you follow interesting people, but you can also see who they follow and do likewise. Its the fastest and sometimes most accurate way to get the news and collect intelligence about anything or anyone with whom your interested in. Twitter has become a phenomenon of the Web 2.0 world and one of the most interesting major success stories of the last several years. According to stats just released from Nielsen Online, Twitter recorded 2.3 million unique visitors in August (US-only), an increase of 422% from the same period last year. In March 2008 on the All Business Auctions Blog, I wrote about Twitter and asked if it would be used at eBay Live 2008? Twitter at that time seemed to be an enigma to the eBay community. Twitter has been embraced by many eBay thought leaders, gurus and just plain sellers and buyers since last March. As we all know, there are many types of people in the eBay community. Many of these people, (and this is not exclusive to eBay centric Twitter users) use Twitter to promote more than what they happen to be doing at the moment. Twitter is used for monetary reasons such as to broadcast links etc to hundreds or even thousands of people who have chosen to follow the user. The beauty of Twitter is you can pick and choose whom to hear from. i.e. 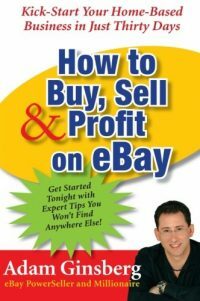 if you are sick of eBay gurus promoting the next set of DVD's guaranteeing you will make millions on eBay, it is a simple matter to stop following these individuals. Twibler is an application which promotes itself as a marketing device for eBay sellers. By joining Twibler, entering information about an eBay account and a Twitter account, the seller is given a tool which will send out a message on Twitter (a.k.a. a Tweet) every time the seller lists a new item on eBay. All for FREE. Using social networks to market eBay listings, is this not what all of the "experts" have been telling sellers to do for some time now? Twitter is a Social Network - This means the users (your followers) are interested in what you are doing, what you have to say - not necessarily the products your selling. Marketing via social networks requires finesse, no Ron Popeil Ronco style Vegematic sales gimmicks needed here - this is not the 1970's. There is a difference between social network marketing and simply "using" a social network for traditional marketing efforts. Many eBay sellers use bulk uploading tools when sending listings to eBay - This creates Twitter Spam when connected to Twibler. No Twitter users want to see a consecutive list of 10, 20, 50 or 100 Tweets from a single Twitter user utilizing Twibler to promote eBay listings. Spam is Spam - no matter if it is in your email inbox or your Twitter account - Do you appreciate Spam? Just because something is Free and Easy to use, does not make it effective or worthwhile. Twitter is an amazing tool to build a personal brand - Twibler can destroy that effort in one bulk upload to eBay. People do not follow other people simply to see the products they sell. People follow others in a social network to learn more about them, what they think, what's newsworthy, not what they list for sale on eBay today. In the case of a company, followers want to learn about news and events related to that company. If they want to buy a product from the company, they know how to find it. The Twibler website claims opening a new or second account on Twitter will solve all the problems above. Please explain to me the purpose, if no one was following the new account? Unless you sell something extremely rare on eBay, I doubt any eBay seller would collect many Twitter followers with an account that simply posted eBay listings to Twitter. In the end it is a matter of not understanding the craft of social network marketing. As a business person, one should try to understand social networks before wading in with easy to use tools like Twibler, which in the end could do more harm to your brand than good for your sales. It’s not just Twibler. eBay sellers really need to learn the difference between marketing and spam. Just because you CAN have your stuff all over Facebook doesn’t mean you should. I’ve stopped following a number of people who do nothing but submit their eBay listings to Twitter. A fundamental aspect of social networking is to develop relationships. That means getting to know others & contributing to the conversation. When this leads to the opportunity to mention what you’re selling, that’s fine. But if selling is all you do, it’s poor etiquette IMO – much like those unwanted junk emails. I appreciate your comments and hope to inspire more conversation along these lines. Any Pro- Twibler Stories or thoughts out there? I’ve unfollowed a couple of twibler users whom I would have otherwise kept following…it’s a shame because I may be missing otherwise interesting contributions from them, but once those eBay listings start piling up you have to weigh the pros and cons of the follow. 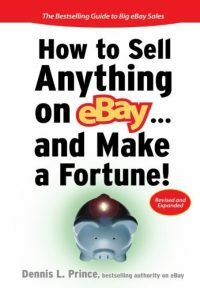 I use 30 day listing format on eBay rather than Good Til Cancelled. So if I were to use twibler my followers would get about 80-100 new tweets per day with often very similar listings–think that might cause my followers to nosedive a bit! I try to keep tweets about my eBay listings to one per day summarizing what’s being listed that night. If I’m really excited about something I’ll include a link, but that’s pretty rare for me. And I do this knowing that likely 95% of my followers likely still don’t care, but you know, you’ve got that twitter badge on your web pages so there’s always the off chance a non-twitter user might see it–in other words, someone primarily interested in your items. If I personally saw value in something like twibler and felt I had to use it, I’d use it on a second twitter account and not infect my main account with it. All that said, I do think there is a place for twibler, but likely on a twitter subdomain and the app would probably have to distribute shopping listings from other venues (it may do that already for all I know, I’m not sure), and then, bang–you’ve got a potentially interesting shopping portal at a twibler.twitter.com type address. Those who are interested opt-in/visit whatever, those who aren’t can stay away. I think something like that would foster more good will though and have great potential use. Yup! Just because you can doesn’t mean you should. The first Twibler message I got, did get my attention, by the third I had unfollowed the lady. She had nothing to contribute to a conversation it was a monologue. I would go so far as to say that I felt a level of hostility towards the seller who was monopolizing my twitter feed with junk. I use Twitter as a sort of break. I learn a tremendous amount from people I follow who share their reading lists. I feel a curious closeness to my gang. I do send a link when I publish a new blog post but that is the limit of my self promotion. Doesn’t it all come down to good manners, or is that hopelessly old fashioned? I’m half agreeing with Scott, half disagreeing. Uh Oh…I was so guilty. However, thank you Marlene, she shared her knowledge with me and has helped me to see the ‘light.’ I’m going to try the suggestions here. Great post Scott. Thanks for the lessons. If you don’t mind me asking, what wordpress template is being used here? Its a great design and I would like to know if it’s a free one. The theme is: Mistylook by Sadish. And should be available free in the WordPress Extend directory under themes. Thanks for reading the Trading Assistant Journal!